Today's post continues with where I left off last week: the shades of the low value centennial stamps as they appear in ordinary light. Last week I dealt with the 1c, 2c, 3c and 4c values. This week, I will look at the 5c through 7c values. Of the four stamps I am examining today, this one exhibits the widest range of shades, ranging from deep violet blue, all the way to a deep bright blue. The range does not seem to be confined to either the dex gum or PVA gum stamps showing similar ranges of colour. However, I have not seen the deep indigo shade on the PVA gum stamps. 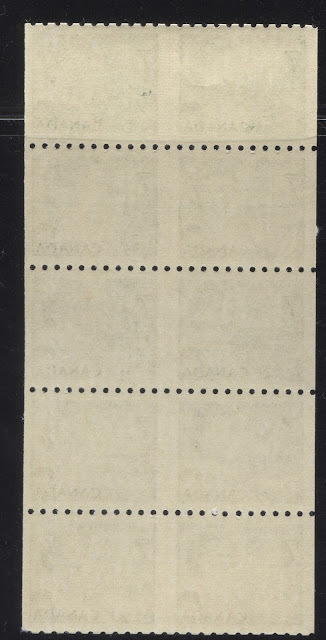 The BABN booklet stamps do not show a range however, with all the booklet stamps I have come across being more or less the same shade. 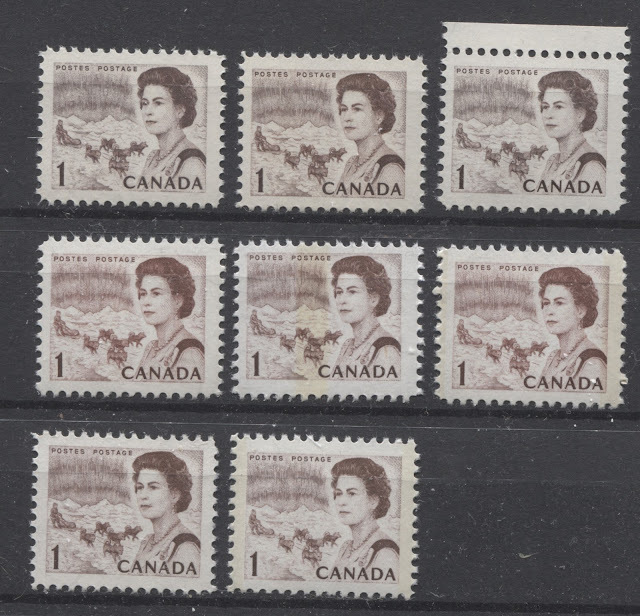 For this stamp, I find the best parts of the design to focus on in comparing shades is either the Queen's hair or the lower left corner.